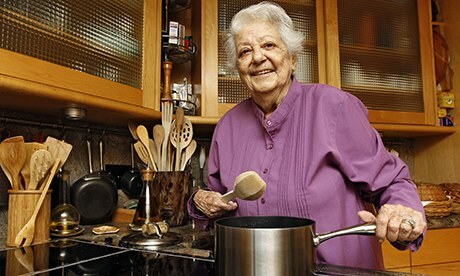 We used to laugh at something an acquaintance told us about a past spouse, long-since divorced: “she was the best wife-cook of her generation.” But that phrase comes to mind today as I think about Marcella Hazan, who was America’s foremost Italian chef, cookbook author, cooking instructor – the best chef-cooking teacher of her generation. 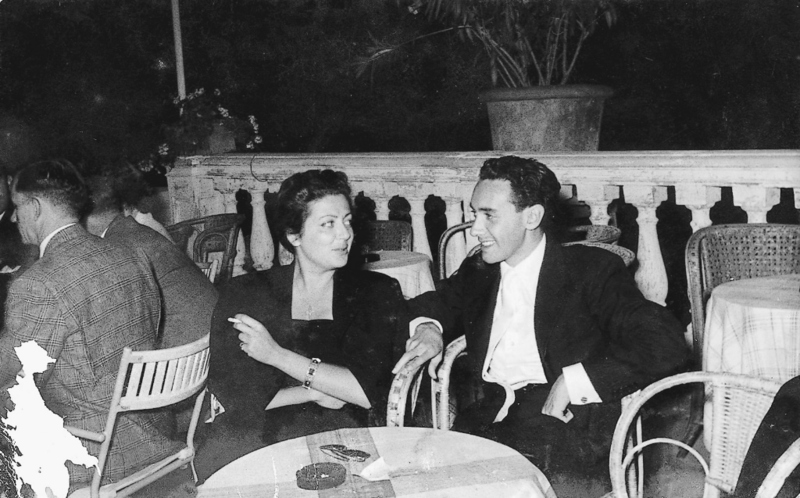 She died at the age of 89, a chain-smoking, opinionated former biology scholar who arrived in the U.S. in 1955 as a newlywed. She did not speak English. She gradually learned the language — and the language of cooking, the latter in order to cook for her husband (he reciprocated by translating all of her cookbooks). Lidia Bastianich called her “the first mother of Italian cooking in America.” Marcella Hazan’s recipes are simple and precise above all, totally reliable and always scrumptious. Her Essentials of Classic Italian Cooking is probably the prime staple of my kitchen library, the collection from which I draw recipes again and again, so often that the spine naturally cracks open to some stained pages. Pesto the Marcella Hazan way is the way I make pesto, and the less I diverge in some temporary madness of less olive oil or more cheese the better it is. Her recipe for Minestrone soup is nothing short of perfect. Serve her Osso Bucco and your guests will faint at table. We eat her Risotto often, plain with just cheese or with peas and sausage or with pancetta or zucchini any other good thing we have on hand. I’d like to share a Marcella Hazan recipe from the same book that sounds a little weird, one that is nonetheless spectacular. Gil suggested to me recently that my three major food groups are coffee, chocolate and milk. There is truth to that. Perhaps my fondness for milk is what drew me to Pork Loin Braised in Milk, Bolognese Style. 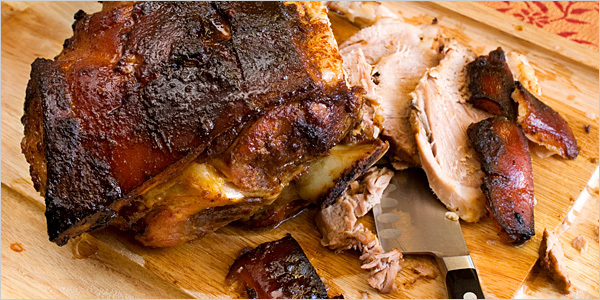 I also love practically any form of roast pork, especially pernil, the garlic infused, succulent joint you find in humble Latin eateries. I remember as a kid out of college, throwing parties with roasted picnic hams that set off the smoke detector. In this recipe, the master chef Hazan tells us, “The pork acquires a delicacy of texture and flavor that lead some to mistake it for veal, and the milk disappears to be replaced by clusters of delicious, nut-brown sauce.” You do have to keep an eye on it — it cooks on top of the stove and you have to mind it a bit as it goes along. But every second you spend in the kitchen on this recipe is worth it. Thank you Marcella, you did us right. Brown a 2 and a half pound, fatty pork rib roast in a heavy-bottomed pot in 2 tablespooons vegetable oil and 1 tablespoon butter. Add salt and pepper and 1 cup of milk, slowly. Turn the heat way down and cover the pot with the lid slightly ajar. Cook at a “lazy simmer” for approximately 1 hour, turning the meat from time to time, until the milk has thickened and turned nut brown. At this point add 1 more cup milk, let it simmer for about 10 minutes, then cover the pot tightly. After 30 minutes, set the lid slightly ajar. Cook until there is no more liquid in the pot, then add another half cup of milk. Continue cooking until meat feels tender when prodded with a fork and the milk has all coagulated. Altogether the cooking time is between 2 and a half and 3 hours. Add more milk as needed. Remove the meat to rest on a cutting board. Slice and plate. Spoon most of the fat out of the pot, leaving behind the milk clusters. Add 2 to 3 tablespons of water and boil at a high heat while using a wooden spoon to scrape away loose cooking residues. Spoon all the juices over the meat and serve immediately. If you come to New York I’ll feed you some pork braised in milk — and take you for a speedboat ride in New York harbor. 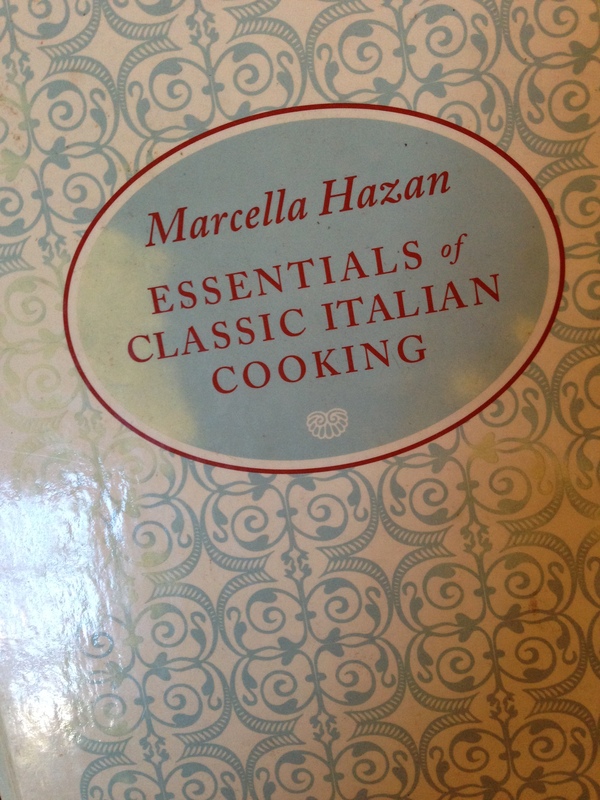 Rest in peace, Marcella Hazan. I didn’t know you, but I’m glad to have learned about you, just now, and about your colorful son, Giuliano. I read that you are sometimes credited with starting the USA craze for balsamic vinegar (Wikipedia says so), and I do have some of that, but (in MY kitchen) I think I’d start with your nice recipes for pesto and risotto (with all due respect). Perhaps a friend will invite me to taste your Milk-Braised Pork, Bolognese-style, sometime. R.I.P.